Basically, you buy lumberjacks, fishermen and gatherers. Upgrade castle, environment and the egg (dragon). Try not to run out of food or let your dragon die. Currently all HP goes to negative just for testing, and the game play is not balanced yet, so food consumption is too low at the moment. Press 7 to get more money for testing so you don't have to wait. 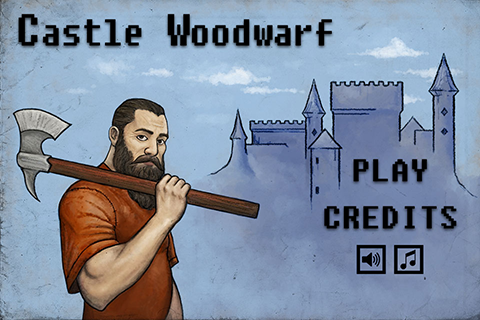 Castle upgrade - increases wood value and lowers the time dwarf need to rest inside castle. Nature upgrade - increases energy for lumberjacks and fishermen and increases value of the food. Goal will be to max out the environment. Did some nice progress so planning to launch by the end of the next week. Still need to paint some of the background art, a few more dragon illustrations and polish here and there. I am very excited about this release and hope you will like the game! This is the welcome screen made by our artist Theo. Launch of the game is a bit delayed because we might get sponsored! The potential sponsor asked me to do some more beta testing and adjust game play balance after getting feedback. By today I got enough data so I fixed accordingly and I am quite happy with results. Our team's artist Theo suggested challenge modes so I added them too. Studying pixel art tutorials and lots of practicing payed off too. I changed the background flowers and bushes completely, this is how they look now! Looks great. Really love the art. Just the other day I animated the gatherers to turn around smoothly. Before they just flipped and suddenly changed the direction. I am very proud on this. 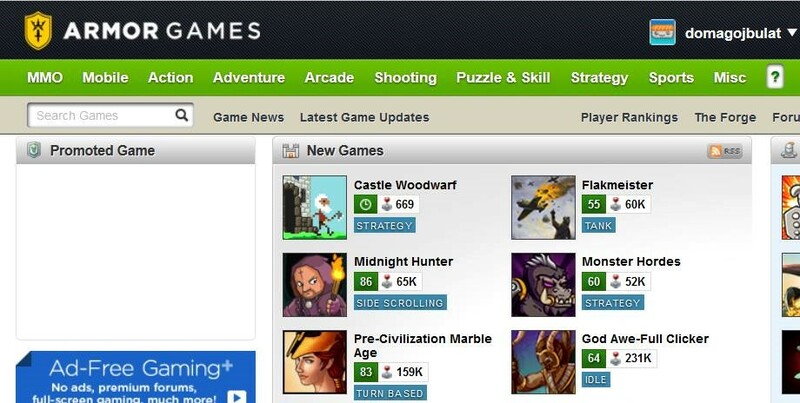 Well, Squeeb, you can play it now - game is just released on Armor Games!!!! The dwarves started with rating 80 and then improved to 81 which became 82 now. Awesome! ill have a play and rate it! Thanks! Oh, yes, did you check out the credits? You are there in "special thanks to" section with a few other Stencylers. I am grateful to you guys because you encouraged me to go trough this game in the very beginning with kind comments and suggestions. It is sometimes hard to endure trough all stages of creating game. It was your comments that kept the faith in pushing till the finish. Congrats, the graphics is great! 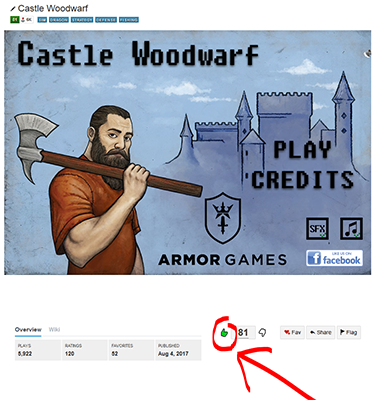 Castle Woodwarf has an incredible score of 87 on Armor Games and already has over 28k views. Wow man, I am so happy for you!. Keeping the difficulty up and adding those extra modes really helped. I think people play the game thinking they can just easily win with no thought. Then they get wrecked and have to start over lol. It has sparked a great deal of chat on how to win. Also, the extra modes seem to keep people coming back!! Really congrats!! I know you were a bit bummed after Earthlings and you also seemed a bit down even while you developed this game, so it's great to see your hard work pay off! I am really curious on how the players at Kong will receive this game. That's great work!! Keep it up!! Getting in touch with Armor was the best thing for the game because they tested it thoroughly and found a few bugs that I fixed. Plus, they had minor suggestions like that one to show the time. Also, I was way off in estimating difficulty. The normal mode was actually so difficult that we turned it to a time challenge. I thought people would love to find strategy from the very beginning, but loosing many times at first encounter with the game drives players away. I am surprised that still many of them complain the game is too difficult or challenges are impossible. In the future I need to pay attention to this because it was bad to assume everybody has experience in strategy games. That is why it is great that Armor Games people helped me with their expertise and enormous experience. Otherwise, I would publish game to Kong in a quite bad shape comparing to its current state. Currently working on implementing Armor Quests. I hope I manage to do it because I am not very skilled with coding yet.